If you read my introductory blog post, then you know that I’ve been an active member of the so-called gun culture for more than three decades. As a direct result, I’ve also been an active participant in the so called “gun debate” for that long as well. I doubt that there is a gun control argument that I haven’t heard and responded to at one time or another. All these years spent sparring with gun control advocates has given me, what I believe to be, a thorough insight into the minds of those who constantly call for government infringements on the right to keep and bear arms. First and foremost, the most vocal proponents of gun control inevitably know little or nothing about firearms or firearms laws. They parrot nonsensical talking point terms like “assault weapon” or “gun show loophole” or “enhanced background checks” yet are entirely unable to accurately define those terms. That’s the point where they usually turn the conversation to the standard deflections –appeal to emotion, appeal to authority, strawman, red herring, ad hominem, no true Scotsman – anything but a logical, reasoned response. It’s painfully clear that the person chirping about the ease with which one can purchase an “assault weapon” has never completed a 4473, has never passed a NICS check, has never had to conduct an interstate private party transfer through an FFL, and has certainly never jumped through the hoops required to lawfully obtain an item regulated by the NFA, aka Form 1 and Form 4. It’s unlikely that your average gun controller can even tell you what the NFA is, though they’ll tell you with a straight face that the U.S. has never passed any meaningful gun control, whatever that is. In fact, that entire previous sentence would likely be Greek to your average gun control extremist because they tend to revel in their ignorance and then cry “bullying” when anyone dares point out something as simple as the fact that the terms automatic and semi-automatic have very different meanings and are not interchangeable, or that automatic firearms are already severely restricted and prohibitively expensive and complicated to own but that semi-automatic firearms are as common as cars with automatic transmissions. They also seem to resent when you point out that it’s already a felony to transfer a firearm across state lines without a background check. Listening to gun control advocates attempt to explain how and why they are opposed to certain types of firearms or support certain unreasonable laws is the equivalent to listening to a small child string together nonsensical words trying to sound like a grown up. If you point out that their gibberish makes no sense, they tend to double down with childish, made-up derogatory words like “gunsplaining” or “ammosexual”. So aside from a staggering level of ignorance on a subject that they allegedly feel passionately about, the single most common denominator that defines your average gun control advocate is misperception. It’s a misperception about pretty much anything to do with firearms, firearms laws, firearms history, or the use of force in defense of self or others. It comes from a steady diet of firearms knowledge from fictional movies, fictional TV, and fictional news aka CNN and MSNBC. It is part of a campaign of intentional disinformation that spreads like a cancer. Let me give you an example. A few years ago, I was having a conversation with someone on the topic of allowing teachers to carry concealed firearms. Now, this person whom I’ve known for many years, who is intelligent, educated, well read, and well-travelled told me that they were opposed to arming teachers. I explained that nobody was advocating literally arming teachers, but rather simply wanted to allow teachers the option to voluntarily carry concealed firearms in accordance with applicable laws, just like any other responsible citizen. I asked them if they thought that “arming teachers” meant the school principal would be passing out handguns from a big cardboard box in the teacher’s lounge. And they admitted to me that was exactly their perception. This was a perception born, not out of malice, but out of ignorance of the issue beyond fabricated sound bites and talking points. There was not a true understanding of the topic but rather a misperception based on limited information followed by a conditioned negative response. In the bigger picture, it’s quite common for gun control advocates on social media to say things like “we should ban all guns” or “ban all AR15s” or “ban high capacity magazines” or “register all guns” etc. While I applaud them for their honesty about their goals, unlike those who disingenuously claim that “nobody wants to take your guns”, I always laugh at their misperception. I read an article in Reason magazine that described gun control advocates as making policy in fantasy land and it really hit home with me. It’s also why I largely laugh off statements like those. Their misperception is that the gun issue is quite simple. In fact, it’s just common sense, right? Make (some or all) guns illegal and the problem goes away, right? Law abiding gun owners will turn them in and the cops will scoop up the rest. Problem solved. Here’s the reality. The United States population is greater than 325,000,000 citizens. Think about that number for a minute. The United States covers over 3.7 million square miles of planet Earth. Now think about that number for a minute. The most conservative current estimates put the number of American gun owners at around 100,000,000. Some estimates put it more than twice that many. Some estimates on the total number of firearms in private hands now exceed 300,000,000. The truth is, nobody knows exactly how many guns there are in the U.S. Not the government, not the NRA, not anyone. Here’s another reality. The AR-15 design has been around for more than 50 years. It is lovingly known as “America’s rifle”. It is the most popular rifle in the country. People have likened it to the Honda Accord of rifles because of its affordability, simplicity, reliability, and the availability of accessories and parts, both OEM and aftermarket. Because it can be chambered in a multitude of different calibers, the AR platform is suitable for hunting, for competition, for casual target shooting, and for self-defense. I don’t know anybody who owns an AR-15 who only owns ONE AR-15. They multiply like tattoos. 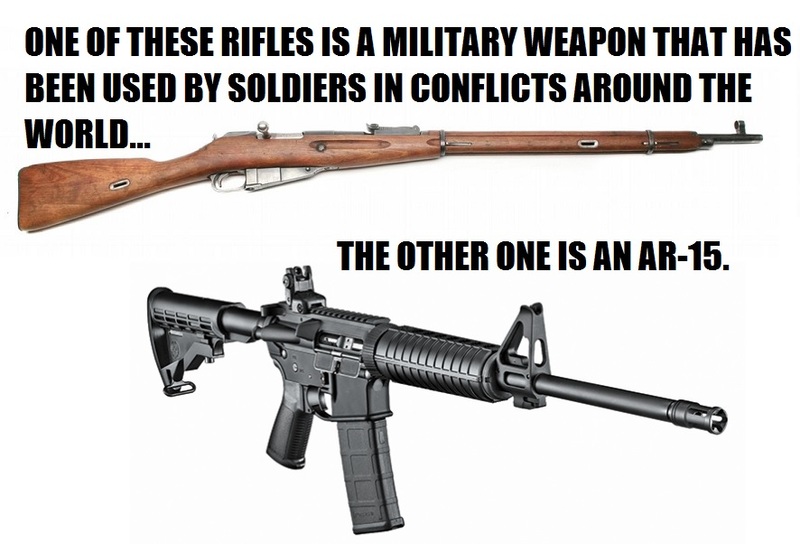 Again, nobody knows for sure, but it is a safe bet that there are tens of millions of AR type rifles in American hands, not to mention the millions of other imported semi-automatic rifles from Europe, Israel, China, Turkey, Egypt, and Russia. And in more recent developments, anyone with a router jig or a 3D printer can whip up an AR receiver at home in a matter of an hour or two. I’m afraid that genie is out of the bottle, that train has left the station, that bullet has exited the barrel. No amount of legislation in the world is going to undo it. Yet despite the misinformed perception that these popular guns are nothing but deadly school-seeking weapons of mass destruction, if semi-automatic rifles were truly the problem, wouldn’t we all be dead by now? The misperception is that semi-automatic rifles are responsible for vast amounts of deaths in the US. The reality is that more people are beaten to death with bare hands and feet each year than are killed with rifles of ANY kind, including bolt action, lever action, and single shot rifles. Don’t take my word for it, it’s right there in the FBI UCR. In fact, I’ve pointed that out to a gun control advocate before online and was immediately told that the FBI UCR stats were bought and paid for by the NRA. You can’t make this stuff up. Let’s consider for a moment If Bloomberg and Feinstein and Schumer’s wet dreams came true tomorrow and semi-automatic rifles became illegal, what would the result be? For starters, tens of millions of otherwise law-abiding citizens would become criminals overnight by the stroke of a pen. There aren’t enough FBI and ATF agents in the entire country to put a dent in investigating millions of simultaneous felons. 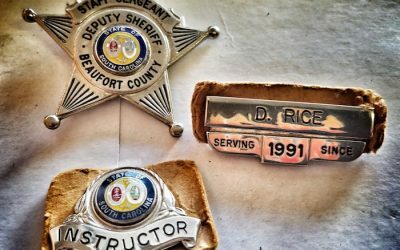 Police and Sheriff’s offices across the country would decline to enforce a dangerously unenforceable law, and the positive impact on actual violent crime would be nil. It happened in New York and it happened in Connecticut. The people ignored the law and the cops looked the other way. Sure, some poor sap would get caught with a prohibited firearm occasionally and made an example of. And this would reduce violent crime how again? No, those types of laws only create criminals where none existed before and do nothing to impact violent crime rates. Unless of course you count the spike in police involved shootings stemming from confiscating guns. Or the epidemic of gangland violence that would accompany the black market created by a “war on guns”. The laws of supply and demand are immutable. Prohibition breeds black markets, whether alcohol, cannabis, or firearms. Black markets breed violence. You’d think we would have figured that out by now. Reality check – The vast majority of military personnel don’t touch a firearm more than once a year after basic training. Sure – infantry, snipers, SEALS, MPs – those guys all carry guns and train with them because it’s their job. They represent a fraction of active duty military personnel. Go to any base in the U.S. and you’ll see cooks and truck drivers, aircraft mechanics and medics, communications specialists and records clerks. What you won’t see is any of them carrying or using firearms anywhere on base. The reality is that your average non-combat MOS military person is no more or less proficient with firearms than your average civilian firearms enthusiast. Shooting an M4 in boot camp, or even in combat, doesn’t make you an all-around expert on guns and gun laws. It sure as hell doesn’t make you an authority on the Constitution or civilian self defense laws like Castle Doctrine or Stand Your Ground. Do I even have to point out that the rules of engagement for a military combatant are very different from that of a private citizen acting in self defense? How does shooting at insurgents with a belt fed machine gun make anyone an authority on domestic policy? Answer, it doesn’t. Which brings us to the cops. As I’ve mentioned previously, I spent several years as a law enforcement firearms trainer. I’ve often referred to what I call the “10/80/10 rule” when it comes to cops and guns. I’ve observed it firsthand long enough to be convinced that it’s more than just a theory. Here goes. Ten percent of cops can be considered firearms experts. They are highly knowledgeable about and quite competent with a wide variety of firearms. They tend to be avid hunters and competitive shooters. They tend to collect and own multiple firearms. They tend to be well versed in state and federal gun laws. And while they can pop up anywhere, they are the ones most likely to find their way into specialized units like SWAT, K9, fugitive apprehension, or narcotics investigations. Eighty percent of cops are what I call “non-gun”. To them, the pistol on their hip is just another tool. They have sufficient skill to meet or exceed the minimum qualification score, but care little else for guns or shooting. They are adequately competent with their issued firearm(s) but have little general firearms knowledge and are not familiar with the operation of firearms different from their duty guns. They tend to not own guns or participate in shooting sports. Finally, ten percent of cops shouldn’t be allowed in the same room with a gun. Sometimes they get weeded out before it’s too late. Sometimes they get weeded out after it’s too late. The reality is, when it comes to cops there’s a 9 out of 10 chance that he or she doesn’t know any more about guns than your average firearms enthusiast. I had originally intended to make this a single blog post but the land here is fertile. We’ll pick up here where we left off next time when we talk about the legendary “Wild West”, how Congress is bought and paid for by the NRA, and why the violent crime picture in the US vs the UK isn’t always what it seems.